Appraisal management companies are the bane of a buyer’s existence. This is the biggest problem right now for a buyer who is getting a loan and will need to have their future home appraised. Here is exactly why this will be your biggest challenge, and I’ll tell you how to handle this issue. The mortgage debacle that was part of the real estate crash a decade ago gave politicians all the encouragement they needed to pass new laws restructuring how appraisers are hired. You may recall that the complaint was that a very small number of appraisers were in cahoots with a small number of real estate agents and they were committing fraud by over valuing homes. The best answer would have been to require enforcement of the laws against fraud, i.e. put the frauds in jail. What if You Get a Low Appraisal? What if I outlive the benefit? You can not outlive a reverse mortgage. If you live to be 120, you still will not have to make a mortgage payment. Can I get upside down in value? Because the loan is insured by the FHA, you will never be obligated for more than the sale of the home (even if it depreciates). Could you lose the title or lose control of the property with reverse mortgages? Title always remains in the homeowner’s name. Could the burden or responsibility be passed on to my heirs? Your reverse mortgage is secured by the equity in your home so your heirs are never personally liable. Upon my death, is there a possibility that my heirs would not inherit my home? Your heirs do inherit your home according to your own estate planning, and your heirs have the option to sell the home or refinance it. The majority of reverse mortgages originated today are FHA or HUD Home Equity Conversion Mortgages (HECM). 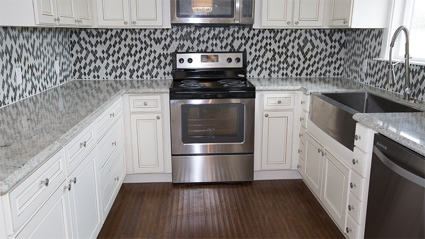 These are insured by the FHA and have been growing in popularity over the recent years. 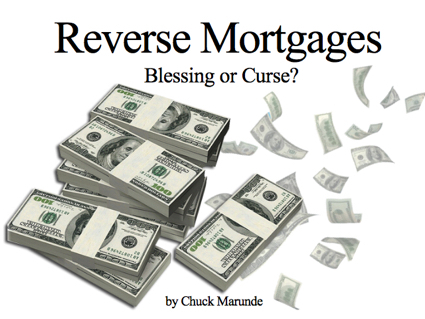 Reverse Mortgages: Blessing or Curse? The loan process is enough to turn a normal person into a zombie. You may have retired from a stressful career in police work, military service, or sales at Oracle, but that has not prepared you for the mortgage mine field. Trust me. I was an attorney for 20 years, and I know what stress, bureaucracy, and B.S. are, and if you think working for Larry Ellison was a nightmare, you haven’t applied for a mortgage recently. The second tip is do not hire a new or inexperienced mortgage broker. That has turned into a nightmare for so many buyers, I cannot even count that high. An inexperienced loan officer doesn’t know what they don’t know, and at the 11th hour just before closing they will often hit you will new documentation they could have asked for weeks before, and this can kill your transaction or require a closing extension. A closing extension can create hardships for the buyer and seller in additional costs and rescheduling moving trucks (and sometimes that can’t be done without a mini-nightmare of its own), rescheduling airline tickets, and so on. The third tip is hire an experienced, professional, and honest mortgage broker. This may sound like the last tip, but is is not the same. I cannot overemphasize this one. The best of the best in every profession always consists of a small percentage of people, and that is true in the mortgage business. A VA loan can be a nightmare by virtue of the massive documentation and bureaucracy, but the loan process is especially a nightmare if you have an inexperienced loan officer, and the loan process gets even more problematic if your loan officer is not local. A VA loan also requires VA certified appraisers, which often means the appraiser is not local, and that can create another mini-nightmare as they often under-appraise properties. The parties are then thrown into a legal quagmire as the price must be renegotiated, or the parties must appoint a second appraiser, and all that will require a closing extension, and the parties might not agree on price. The transaction may be terminated, and it’s possible the parties will get into a dispute over who gets to keep the earnest money. This is just the tip of the iceberg when it comes to the loan process for a VA loan and many other loans. I strongly recommend you connect with the best of the best when it comes to a Realtor, and the best of the best when it comes to selecting a mortgage broker. Save yourself the stress and nightmare by taking these tips from the school of hard knocks seriously. I am certain that the last thing you need going into retirement is a nightmare with the loan process. The appeal of a VA loan is primarily the low down payment. Most conventional loans today will require a 20% down payment, and you have to have 20% down in order to avoid the requirement of private mortgage insurance (PMI). 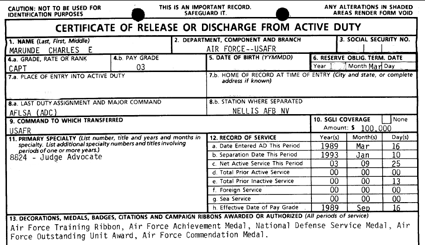 Many veterans can afford the mortgage payment but are unable to save 20% in cash. On a $400,000 home, 20% would be $80,000. 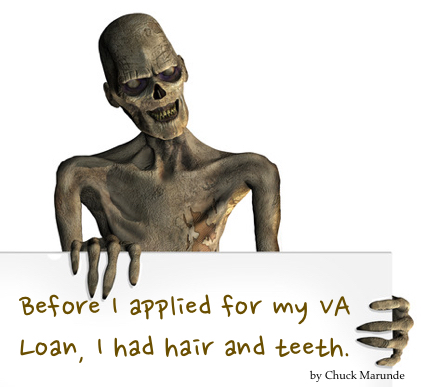 So the VA loan is alive and well for those who qualify. Unfortunately, there is massive paperwork with a VA Loan. The bureaucrats and regulators have been having a heyday developing new and more regulations for a VA loan, and the qualification process has reached entirely new levels of extraordinary detail. The Purchase and Sale Agreement that is normally used in a real estate transaction will triple in size after you get done signing all the VA loan addendums and additional forms. You will be required to join a conference call with a VA loan processor who will talk to your utility company, your Internet company, and your automobile insurance company to find out if you ever had a late payment over 30 days. Every aspect of your credit, your income, and your underwear size will be analyzed. These kinds of detailed inquiries will go on for weeks. We all understand the need to prevent fraud, but qualifying for a VA loan today will require extraordinary patience on your part. Buyers often ask if owner financing is possible? Will sellers carry the paper? In other words, will sellers offer buyers owner financing? I just sold a home, and the seller did offer owner financing, but this is rare. Very rare. There are only nine owner financing homes listed in the MLS in Clallam County, including the Sequim and Port Angeles area. 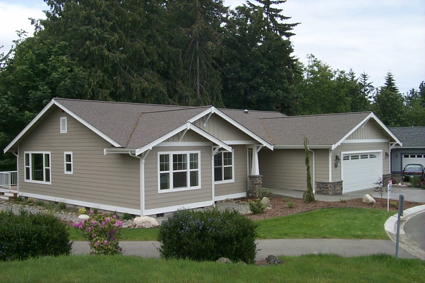 You can see all the homes offering owner financing at Sequim Owner Financing. This link will be active no matter when you use it, although the number of homes included in that list will change as homes are sold or new homes offer owner financing. The home above sold for $231,000 with a $45,000 down payment and owner financing included payments amortized over 30 years at 5.5% with a balloon payment in 5 years. Based on standard seller closing costs, the seller netted about $12,500 at closing. The buyers will pay a little over $1,000 per month in principal and interest. I share these numbers so you will have an idea of what the math looks like. A buyer will have to come up with a substantial down payment, and in this case that was $45,000, but it is often more than that. A buyer may ask a seller for owner financing if they have had a financial crisis in the past ten years that hurt their credit. That kind of thing can happen to good people as the result of a business failure through no fault of the business owner, or a pension may have been hit by poor investment advisor recommendations, or a family member may have defaulted on a co-signed note. You can read more about how owner financing works at How Does Seller Financing Work? You can also read Are There Any Sequim Homes That Offer Owner Financing? Reverse mortgages are advertised every day on many cable and satellite channels, and the companies promoting reverse mortgages are using some of the most credible actors to help them sell these loans. Who doesn’t love T.V. personalities like Fred Thompson, Pat Boone, Robert Wagner, Alex Trebek, and Henry Winkler? Reverse mortgages are packaged as the salvation of the elderly, and selling these mortgages has been a cash cow for the mortgage companies. Are reverse mortgages a blessing or curse for homeowners? Are they the panacea like the commercials would like us to believe, or is there a downside or danger for retirees? Reverse mortgages are sold purely on a simplistic financial benefit to older homeowners (62 and older). The benefit of getting a big check that you don’t have to pay back while you are alive is simply too tempting for many retirees, especially those who are on a very tight financial budget or have such a limited retirement that they can’t meet all their needs. For those who don’t have enough to live, a reverse mortgage may be their salvation. But there are some very serious downsides to reverse mortgages. Many retirees have lost their homes as a result, and there are numerous Internet articles which you can find by searching Google. What I want to touch on here is the less obvious and what is not being talked about, which are the long term financial implications and philosophical issues involved. Previous generations had a philosophy of life that included concepts like hard work and independence, long term planning on building equity in real estate, delayed gratification, living debt free, and passing on wealth to the next generation. Today America has largely thrown all of those philosophies over the bridge and traded them for the popular entitlement mentality, immediate gratification, living on debt, and spending it all before death. This is a dangerous trend, and unfortunately reverse mortgages fit nicely into this dangerous philosophy. Granted, for the couple who absolutely have no way to live and need to pull their money out of their home, then maybe nothing else matters except the money. But for those who want to do everything they can to live with traditional values, like financial freedom and living debt free and passing on something to their children, reverse mortgages are not consistent with that way of life. Mortgage problems are the rule, not the exception today. Even with perfect credit and a huge down payment, a mortgage broker is very likely to surprise you with some strange and often ridiculous demands for additional documentation, and these often come at the 11th hour just before the scheduled closing. If you are paying in cash, you can avoid these pitfalls, but if you are planning to get a loan, you might want to be aware of what is happening to almost every buyer. Just knowing what you might experience with a mortgage broker can help to reduce your stress if and when it does happen, and being proactive on these issues can help you avoid mortgage problems and stress. Today I’ll explain how FNMA (Fannie Mae) is killing transactions by requiring private road maintenance agreements. Sequim, Washington is rural America away from the hustle and bustle of the metropolis, the crime, the noise, and the pollution. Sequim really is what so many hard working people planning their retirement see as a genuine piece of Americana. Living in Sequim is like going back in time 20 or 30 years when people were always friendly, children were respectful of adults, and private property was . . . still private property owned and controlled by the homeowner. Enter FNMA, the powerhouse that controls how mortgage companies and banks make loans and to whom they can make them. If you apply for a loan in a rural area like Sequim, beware buyer, because bureaucrats at FNMA may kill your purchase. Of course, this doesn’t just kill the buyer’s transaction. It also kills the sale for the homeowner, and may make a home virtually unsellable. Here is what is happening. You might want to calculate the balance of a mortgage if you are thinking about buying a home that is in foreclosure or will be a short sale. You might also want to know the balance of a mortgage on any home you are thinking about buying. Deeds of Trust (mortgages) are recorded, which means they are public information. The real estate auditor’s office keeps these recorded documents, and now most counties around the country put this information on websites. 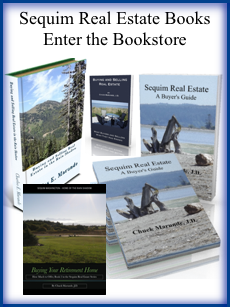 The Clallam County Auditor’s website covering Sequim and Port Angeles is found at this site: Recorded Real Estate Documents. What is The Balance of a Mortgage? First, you need to find the recorded deed of trust on the county website. That’s not easy, but here’s the key. When you open the county website above, you’ll need to type in the owner’s last name first, then type a comma, and then the first name, and this should be typed in the grantor field. For example, John Smith should be typed as “Smith, John” without quotes. Then hit the search button. If you have a common name, you might get too many results, even pages of results. You can narrow down the search by unchecking the block in the far right side where it says, “All Types.” Then scroll down and check “Deed of Trust.” Then do your name search, and that will narrow the results down to only deeds of trust for people with that name. 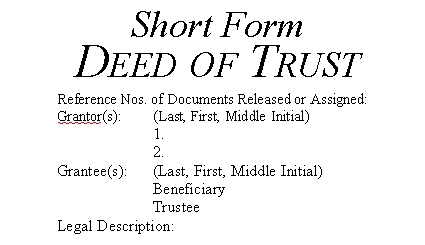 If the name doesn’t pull up a deed of trust, you might not have the name correctly typed. Maybe the person used their full legal first name. Try a few names until you find the right one. Once you’ve found the correct deed of trust, you can find out the original mortgage balance listed usually on the second or third page. 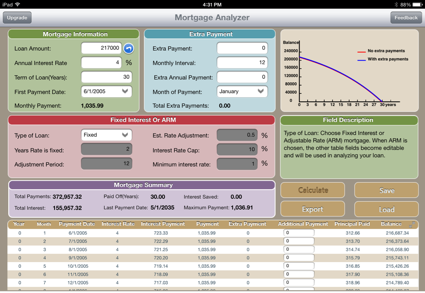 Second, once you know the original balance and the date of the loan, you can use an app on your iPad (like the one above called “mortgage analyzer”) or from your computer you can use this one at Balance of a Mortgage. You type in the date the deed of trust was recorded, and insert a reasonable rate of interest for that year (or just use 4.5%), and then assume the loan is a 30 year fixed loan. You can then expand the entire amortization schedule. Go down to the current year, and you’ll see the approximate balance of a mortgage today. It’s not mathematically perfect, because a home in default will have legal fees and accrued interest, but this will give you a pretty good idea about the balance of a mortgage. I’ve written elsewhere about real estate bankruptcy and how to buy a home out of a bankruptcy. The purpose of this article is to share a true story about how a homeowner got hoodwinked into filing a bankruptcy, and it cost him his dream home. Bobby (not his real name) owned three homes. He had a successful career as the sales manager of a large organization, and he had done quite well, but he was laid off in the recession. He was in the middle of building his dream retirement home when he lost his job, so the construction came to a halt. His two rental homes went into foreclosure. All that he had worked for his whole life was at stake, and at 57 years old, it would be hard to start all over, especially in a recession. So he went to see a bankruptcy attorney, who promptly told him he must file a Chapter 7 bankruptcy, even though Bobby’s total debts were only $60,000 outside the real estate. So Bobby wrote the attorney a check and proceeded with what he thought was sage legal advice on this real estate bankruptcy. Forward the calendar one year. Bobby’s two rental homes were foreclosed after the banks got relief from the automatic stay, and his dream home is being sold by the bankruptcy trustee, who under Federal law is in charge of all of Bobby’s assets, the sale of those assets, and the distribution of net proceeds. Bobby told me he has since gotten advice from wiser attorneys, who said he should never have filed bankruptcy. He could have let his two rental homes go into foreclosure, kept his retirement home and eventually finished it over time. But his dream home should not have been sucked into the black hole of bankruptcy under his circumstances, according to Bobby, in a real estate bankruptcy. I was a real estate attorney for 20 years, so I can say this, “Be careful who you hire for professional advise.” In Bobby’s case, bad advise about a real estate bankruptcy cost Bobby and his wife their retirement home and arguably their future. 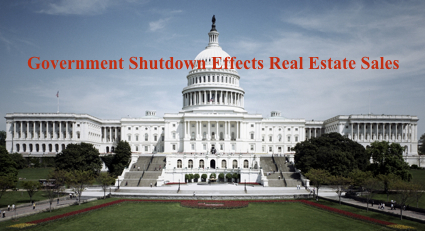 How Will The Government Shutdown Effect Real Estate? How will the government shutdown effect real estate? Since many buyers will apply for a government insured (FHA) or guaranteed loan (VA), those buyers and their sellers will likely see delays if the government shutdown continues. But there’s a bigger problem for all loans, including conventional loans. The IRS is shut down. One of the ugly results of the government shutdown is that the IRS is closed and has suspended the processing of all forms, including requests for tax return transcripts (Form 4506T). While FHA and VA do not require these transcripts, they are required by many lenders for many kinds of loans, including FHA and VA, so delays in getting housing loans approved are likely if the shutdown continues. This is not good news for buyers or sellers. The government shutdown means the Social Security Administration is closed and has suspended most customer service functions. According to the SSA Contingency Plan, verifying Social Security numbers through the Consent Based SSN Verification Service will also be suspended during the shutdown. HUD’s Contingency Plan states that FHA will endorse new loans in the Single Family Mortgage Loan Program, but it will not make new commitments in the Multi-family Program during the shutdown. Some lenders are saying that the procedures that normally require certain government cooperation will be relaxed in certain cases, so not all loans are adversely effected. Clearly one of the biggest problems with the government shutdown is that income verification with the IRS cannot be done. The last thing a struggling real estate recovery needs is a shutdown that kills loan processing. Let’s hope our politicians get their act together and end this government shutdown soon. Cash has been King for a while, but the value of purchasing your home with cash has risen to entirely new levels because of lender and underwriter practices. It has become very difficult to work with lenders, loan processors, underwriters, and loan funders to actually get a transaction closed, and buyers and sellers are being asked for multiple closing extensions stretching the closing out for weeks sometimes. The parties are also regularly being asked to sign addendums long after they signed all the closing documents. The result is delays, frustration, anxiety, and anger. If there is anything that can drive a buyer and a seller crazy, it’s signing the closing documents and then being told that the transaction will not close and an extension must be drafted by the real estate agents and signed by the buyers and sellers. But what’s happening lately is that this is happening more than once, and the lenders are asking that additional documents be signed after the parties signed their closing docs. And get this: they are often asking that an addendum be signed on the day the transaction is supposed to close. If all the parties were sitting at a desk in Sequim patiently waiting for that surprise demand by the lender, that might work out, but too often buyers and sellers are somewhere else in the country without the ability to respond to a phone call immediately and often without the ability to sign a new document and get it back within minutes. This morning I received an Addendum to a HUD-1 Closing Statement that came out of the blue and the lender is asking the parties to sign, but one of the sellers is long gone with no phone access. He signed everything he was asked to sign, and he signed multiple extensions, but today when the transaction is supposed to record, the lender comes up with a new requirement that the parties sign an additional document that itemizes a few title and loan expenses, all of which should have been addressed long ago. If you have the ability to purchase your home with cash, you will save yourself so much stress and delays and uncertainty. Working with lenders and underwriters is now more difficult than it has been in my 37 years in the real estate business. If you intend to get a loan, be sure you do get connected with a great mortgager broker who understands all these processes and who will help you work through them. If you do not have a local mortgage broker for the Sequim and Port Angeles area, you’re welcome to contact me for a referral. For now, there is no doubt that Cash is King and Queen. Mortgage rates are headed upward. There’s no doubt about that. I’m no seer or son of a seventh son, but I have been predicting that mortgage rates would begin slowly going up. I just couldn’t predict precisely when they would begin to return to normal levels, which means higher levels. As you probably know, we’ve been at a 50 year historical low in mortgage rates. As you can see in this chart, mortgage rates are, in fact, increasing. When mortgage rates go up, you’re monthly payment increases. On August 9th the 30-year fixed mortgage rate was 4.38% and today the rate is 4.68% On a $300,000 mortgage with a $40,000 down payment that means in just the past month the rate increased so that your mortgage payment would go up by $50.00. When (not if) the rate goes to 4.98%, your monthly payment increases by $103.00. You can see how your mortgage payment will be effected and calculate your own monthly payment at Sequim Mortgage Rate Calculator. 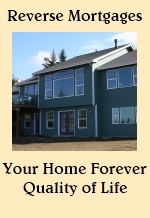 I recommend you prequalify before you start looking at Sequim homes or Port Angeles homes. You can do that even before you arrive in the area by going online and contacting a local mortgage broker I know and trust. All my clients rave about his professionalism, knowledge, his customer service, and his integrity. Just go to Sequim Mortgage Broker. You can look at the current mortgage rate for today by going to Sequim-Homes.com and scrolling to the bottom to look at the chart. Click on that chart and it opens up into an interactive chart of current interest rates. Not to put any pressure on your buying decision, but if you are going to buy, sooner may be better than later. Mortgage rates are headed upward finally. Mortgage rates have hit historical all-time lows during this recession, but mortgage rates appear to be headed upward. 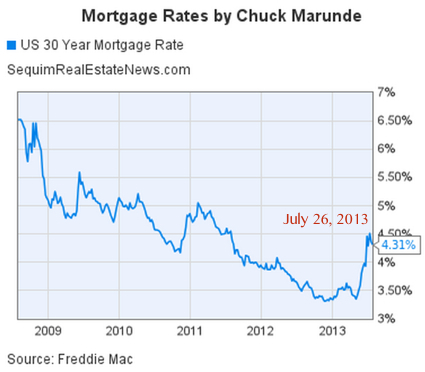 In late 2012 and in 2013 mortgage rates dipped to record lows below 3.5% as you can see on the chart below. Today the 30 year mortgage rate is 4.31%. Interest rates appear to be headed back up. Mortgage rates do not typically increase or decrease in a straight line. Technical charting usually looks like this chart above on mortgage rates, and one can logically say that while interest rates are probably headed upward after a long recession of the lowest rates in history, interest rates will not increase on a steady line. They will slowly increase with dips retracing the increases periodically. I am advising my buyers to lock in an interest rate as soon as they can once they have mutual acceptance on a purchase. I’ve already had some clients who had interest rates go up on them while their transaction was pending. If mortgage rates go up one percent, that can increase your 30-year mortgage payment by a couple of hundreds dollars or more, depending on the balance of your loan. 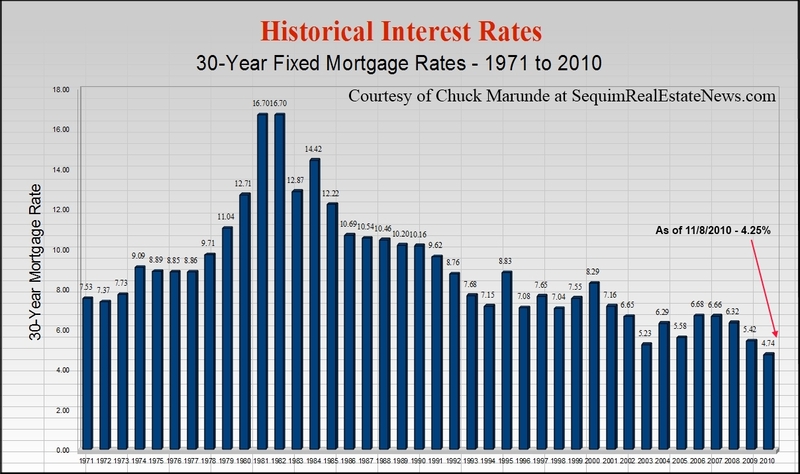 I put together a chart of mortgage rates going back to 1971, and it’s worth looking at. Remember 16.7% in 1981? See Historical Mortgage Interest Rates. 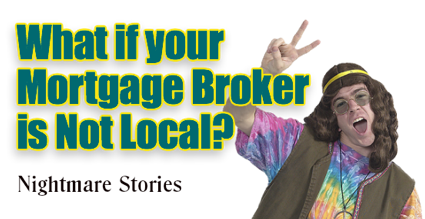 What if Your Mortgage Broker is NOT Local? 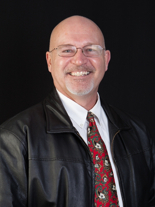 Most buyers select a local mortgage broker, but once in a great while I have a buyer who has a mortgage broker from outside the Sequim and Port Angeles area. While a broker in another state who is licensed in Washington state can do business here legally, most of the time it is a dangerous idea fraught with potential nightmare stories for a buyer (and his seller). Imagine a broker from outside the area who does not know the Sequim real estate market, who has no local network, who doesn’t know any local appraisers, and no one local knows him? A good, competent, professional mortgage broker could still do a good job. Unfortunately, many buyers buying a home in Sequim have found out the hard way that a mortgage broker can be responsible for killing a real estate transaction or causing a delay that causes a lot of stress for everyone. I recently had a buyer who hired a mortgage broker from outside the area. He kept telling us everything was moving forward, but a week prior to the closing date, the mortgage broker had not even ordered the appraisal. The transaction had to be extended by several weeks, which caused a tremendous amount of stress for the buyer and seller, a lot of juggling to keep the transaction on track, and the parties had to sign an addendum extending the closing date. What if one of the parties refused to sign such an addendum. You can imagine the nightmare scenario. I also had a transaction recently where my buyer had a Seattle mortgage broker who did an excellent job. I cannot overemphasize the importance of hiring the right mortgage broker, and most of the time that means a local Sequim mortgage broker who has a stellar reputation. How much your monthly mortgage payment will be is often one of the primary factors in deciding how much of a home you can afford. Today I want to look at how interest rates effect how much you pay for a home. Understanding how current mortgage rates effect price can substantially improve the quality of home you purchase without compromising your financial security. We love low interest rates, but here’s how incredible 3.5% is for buyers today. Let’s do a quick comparison on a $300,000 loan with a 30-year fixed rate loan at several different rates. Wow! What a different a few points can make on a mortgage payment! This is why I have emphasized in previous articles the extraordinary significance of these low interest rates for buyers. I share this analysis, because the majority of retirees who move to Sequim find that the maximum price they want to budget for their ideal home is often just short of the price of the home they really want. Among hundreds of retirees I’ve worked with over the past 18 years in the Sequim and Port Angeles areas, many find that the home they want is $20,000 to $50,000 more than their preset maximum price. A lot goes into financial planning for retirement, and a preset maximum price may have a lot of solid planning behind it. That I do not doubt. My point here is that with interest rates so low, we should consider adjusting the financial planning template we used when mortgage interest rates were much higher. Now with such low rates, and therefore with the possibility of a low mortgage payment, retirees can afford to increase the purchase price of their home a little, and end up with the retirement home they really want. Many retirees tell me their retirement home in Sequim or Port Angeles will be their last home, and they tell me that they are willing to pay $20,000 to $50,000 more and have the perfect home for the last years of their lives. At such low interest rates, this makes more sense now than it has in three decades. I believe everyone should do careful financial planning, and never exceed one’s financial ability to manage income and expenses into the retirement years. But I also see many clients wanting the ideal retirement home, which is a little more than they budgeted before they arrived here to look at homes. Most of us tend to think of what we can afford based on the interest rates we’ve observed most of our adult lives. I believe interest rates will go up soon and never reach these low levels during our lifetimes again. So this is what you could call a “window of opportunity” for retirees at this point in time. It will pass soon. This could mean that right now you can afford more of a home than you originally planned. It could also change the way you negotiate for the perfect home. You may not want to walk away from a negotiation if it means you get the the home you really want for only $45 more per month in your mortgage payment. Seller financing has made a small comeback, and a few sellers are deciding to carry the loan for a buyer. Why would a buyer and a seller agree to a private contract without any bank financing? For two major reasons. First, the buyer may not qualify for a loan, although the buyer may have a large cash down payment and a very good job with plenty of monthly income to make payments. There are many legitimate reasons a buyer today may not qualify for a bank loan. Some of my clients who are retired, co-signed for an adult child on a car or home, and that loan ended up in default and they took a big hit on their credit score. A divorce can destroy a person’s credit worthiness. Losing a job or filing bankruptcy in the past 10 jobs can be a negative factor. Second, a seller may have own his home free and clear of any mortgage, and after many years of retirement decides to move closer to grandchildren. If this seller has a steady retirement pension and doesn’t need a big chunk of cash right now, he might find that selling his home with seller financing is a great return on his money and he would be very secure. It is probably a better investment of the proceeds than throwing it into an uncertain stock market or the vagaries of the precious metals market. A seller who holds the contract has a deed of trust in first position with his own real estate as security for the loan. If the buyer defaulted, the seller would take the home back and sell it again. If the buyer never defaults, the seller gets a nice down payment plus a nice monthly payment at an interest rate higher than he could get in the stock market or in a certificate of deposit or bond or almost any other equally conservative investment. Most buyers will need a loan officer, but very few buyers realize how critical it is to chose the right loan officer. There are a number of decisions in life that have major implications, and too often we don’t realize how important a decision is unless and until we experience a nightmare scenario. I’ve heard so many horrendous stories from clients about how they got burned by hiring the wrong loan officer that I finally realized that buyers need to know how to find a great loan officer. 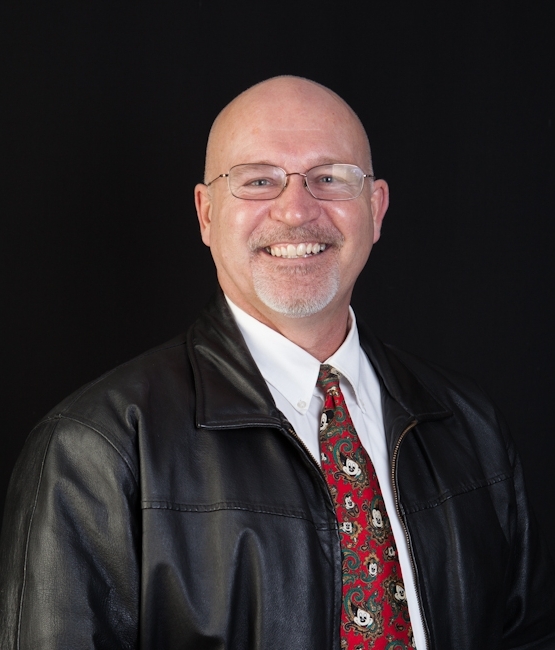 If you spend any time reading my articles on this Sequim Real Estate Blog, you’ll know that one of my passions is protecting consumers, especially my clients. What am I trying to protect my clients from? The dishonest and the incompetent. I realize I’m probably singing to the choir here, because by the time you get to retirement, you know all about the dishonest and the incompetent in the real world. The challenge for buyers is not getting caught by one of these people when purchasing a home. “Ah,” you say, “what could possibly go wrong by just calling any loan officer? Aren’t they all the same?” So glad you ask. An elderly widow refinances her home, and unbeknownst to her, her loan officer charges a loan fee of $18,000, instead of the normal $2,000. The loan officer is never held accountable. A retired couple with nearly perfect credit apply for a loan to buy their dream home and because their loan officer made some mistakes due to lack of experience, the underwriter refuses to approve the loan at the 11th hour. The home never closes as Fannie Mae refuses to extend closing. What a disappointment! A young couple are excited about buying their first home, and they receive a pre-approval letter from their loan officer. They are told their loan is fine and they will be able to close. My clients are happy. I’m happy. Everyone is happy. Just before closing their loan officer tells their Realtor (that would be me) that their loan will not be funded, because some applications they submitted for additional credit cards in the last few days reduced their credit score, which made them ineligible for a loan. They received poor advice from their loan officer. Notice that I’m not talking here about outright mortgage fraud. I’m talking about basic honesty and professional competency. If everyone was both honest and competent, you and I would never have to worry, and lawyers would be out of business. I’m not in the mortgage business, but I’ve been helping guide clients through the labyrinthian mortgage world by connecting them with the best in the mortgage business for decades, and I’ve spent time interviewing the best in the business for this series. This subject is much bigger than one 743 word article, so this is the introduction, making you aware of the importance of finding and hiring the right loan officer. I will follow up this article with a short series that will explain in plain language how you can differentiate loan officers, and what to look for to protect yourself and get the best loan at the best rates. I will even provide a short list of questions you can ask a loan officer when you interview him or her, and I’ll provide you with a cheat sheet with good answers and poor answers. What Happens When I Pay Off My Mortgage? Now that so many retirees of this generation are paying off their mortgages, the question often comes up, what happens when I pay off my mortgage? How does that work, and how fast is the property free and clear in the land records? When you pay off your mortgage, the trustee (the Trustee named in your deed of trust, usually a title company) will send the beneficiary (the bank) a Request for Full Reconveyance, and when the Reconveyance is signed by a bank officer, it is recorded, and Voila! your real estate is free and clear. If the mortgagee fails to acknowledge satisfaction of the mortgage as provided in RCW 61.16.020 sixty days from the date of such request or demand, the mortgagee shall forfeit and pay to the mortgagor damages and a reasonable attorneys’ fee, to be recovered in any court having competent jurisdiction, and said court, when convinced that said mortgage has been fully satisfied, shall issue an order in writing, directing the auditor to immediately record the order. This comes from RCW 61.16.030. If you refinance your home or sell your home to a buyer who finances the purchase (or pays in cash), the same process will have a reconveyance recorded on your loan. Now you know the answer to the question, what happens when I pay off my mortgage? Reverse Mortgages – Should I Get One? Reverse Mortgages can be great for some retirees, and I’ve written about some of the dangers of reverse mortgages in an earlier article, but a reverse mortgage can also be a great financial planning tool for retirees, and Buck Gieseke explains how in this article. Reverse mortgages are one of the most misunderstood home financing tools available today. As a mortgage originator for almost two decades, I was adamantly opposed to writing this type of loan until mid 2006. That is when I got the facts. What if I outlive the benefit – You can not outlive a reverse mortgage. If you live to be 120, you still will not have to make a mortgage payment. Being upside down in value – Because the loan is insured by the FHA, you will never owe more than the sale of the home (even if it depreciates). Losing title or control of the property – Title remains in the homeowner’s name. Burden or responsibility is passed on to my heirs –Your reverse mortgage is secured by the equity in your home so your heirs are never personally liable. Upon my death, my heirs do not inherit my home -Your heirs do inherit your home / property and have the option to sell it or refinance. 90% of the reverse mortgages originated today are FHA / HUD Home Equity Conversion Mortgages (HECM). These are insured by the FHA and have been growing in popularity over the recent years. To qualify for a Reverse Mortgage, you must be at least 62 years of age, have an equity position in your home and undergo free counseling from a HUD approved agency. Income, employment and credit are not considered for qualification. There are no medical tests or histories required. It almost sounds too good to be true – and that is why it took me so long to offer this valuable tool to those that could benefit. Dollar amount available is determined by borrower age and equity position. The cost of an FHA / HUD reverse mortgage (HECM) is similar to that of a refinance. Interest rates are typically lower than the most competitive rates offered by traditional mortgages. Also, similar to most refinances, all of the costs are packaged into the loan to eliminate out of pocket expenses. You are still responsible for paying your property taxes and home owner’s insurance and for making property repairs but will not have a mortgage payment as long as you live in the home. Upon closing, the proceeds from a Reverse Mortgage will first pay off any existing mortgage (if there is one). The (remaining) proceeds are tax-free and can be spent at the homeowner’s discretion – and with no impact to other benefits such as Social Security or Medicare. The funds can be accessed or used in a combination of ways. Some will take a lump sum, pay off debt (if needed / desired) and keep the remainder as a reserve for living expenses. Others choose to receive a monthly amount similar to receiving a paycheck – remember this is from home equity so it’s tax free. Many like the security of knowing they can readily draw on the equity in their home should they need or want to – regardless of reason; It may be to cover increasing healthcare and day-to-day living expenses, to do the traveling that they have always dreamed of doing or helping grandchildren fund their college education. More and more people are using the proceeds to purchase a vacation or second home. The Reverse Mortgage allows the borrowers to pay cash for the home, have no mortgage payments and actually have two properties appreciating in value. Whatever the reason, a properly planned Reverse Mortgage can, provide security, personal independence and an overall improved quality of life – allowing those who chose a Reverse Mortgage to live life on their terms. Integrity One Home Mortgage, Inc. Reverse Mortgages can be good financial tools for some retirees.